UChicago Medicine’s adult trauma program, which will officially begin at 8 a.m. May 1, will include violence recovery and wraparound services designed to help trauma patients successfully transition back into the community, including outpatient psychiatric, behavioral health and social recovery care. The adult trauma center designation comes on the heels of IDPH’s visit April 3 to UChicago Medicine’s main Hyde Park campus to review the facility and program as part of the application process. The University of Chicago Medicine Comer Children’s Hospital has been a designated Level 1 pediatric trauma center since 1990. At UChicago Medicine, faculty and staff from about two dozen departments, sections and work units have been preparing to launch adult trauma services since May 2016, when a state regulatory board approved the health system’s proposal to expand critical services to the community. The three-part plan involved redeveloping Bernard Mitchell Hospital as a dedicated cancer care facility, which allows the addition of 188 much-needed inpatient beds; relocating and building a bigger adult emergency department, which opened in late December; and offering adult trauma care. The South Side has not had a hospital designated as a Level 1 adult trauma center for 27 years. The now-closed Michael Reese Hospital discontinued its trauma care in 1991, and what was then called the University of Chicago Hospital offered adult trauma service from 1986 until 1988. 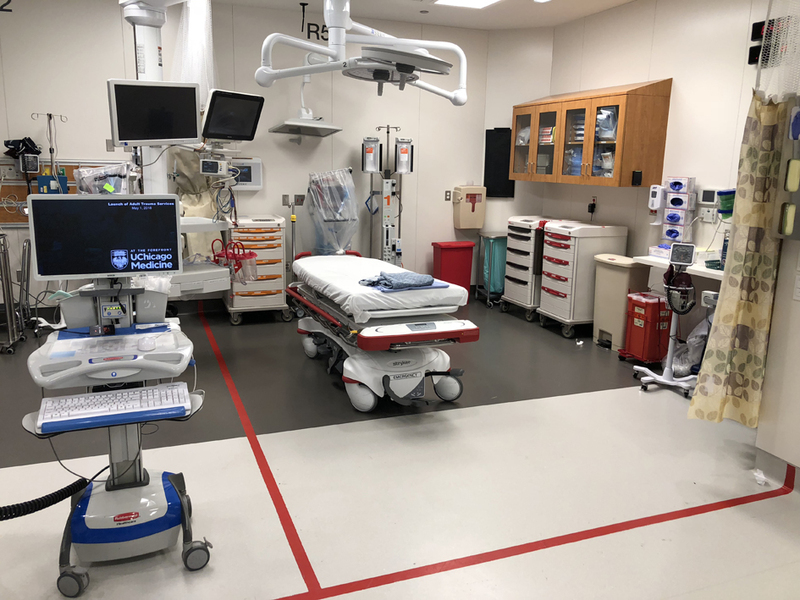 With UChicago Medicine’s launch of adult trauma services on May 1, Chicago will have five Level 1 adult trauma centers within city limits and four Level 1 pediatric trauma centers.